PHOENIX, May 30, 2017 /PRNewswire/ -- Republic Services, Inc. (NYSE:RSG) announced today that the Company will increase its usage of renewable natural gas (RNG) by three times what it used in 2016 through an expanded agreement with Clean Energy. This enables Republic to reduce its fleet emissions by approximately 110,000 metric tons of CO2e (carbon dioxide equivalent) over a three-year period, which is equal to planting 2.8 million trees or removing 23,200 cars from the road1. RNG has the lowest carbon intensity of all commercially available transportation fuels2. "As the operator of the eighth largest vocational fleet in the country, we have a number of initiatives to reduce overall fuel usage, including our continued commitment to operating compressed natural gas (CNG)-powered trucks," said Pete Keller, vice president of recycling and sustainability. "We are committed to keeping our planet clean, and work hard every day to decrease vehicle emissions across our fleet through intelligent routing, our One Fleet maintenance initiative, and the use of renewable fuels. Together, these initiatives will help us to reach our goals of reducing fleet greenhouse gas emissions." Clean Energy's Redeem™ brand of RNG fuel will be deployed across Republic's CNG-fleet in 20 states. Redeem is derived from biogenic methane or biogas, which is methane that is generated by the decomposition of organic waste in landfills or digesters. The methane gas is then processed, purified and sent into the interstate natural gas pipeline and made commercially available to Clean Energy customers. As part of the Company's Blue Planet™ sustainability initiative, Republic is continuing to build durable practices and programs across its sustainability platform to further improve its environmental and social impacts through decreased vehicle emissions, innovative landfill technologies, use of renewable energy, community engagement and employee growth opportunities. Nationwide, Republic operates a fleet of more than 2,500 CNG vehicles and 38 natural gas fueling stations. 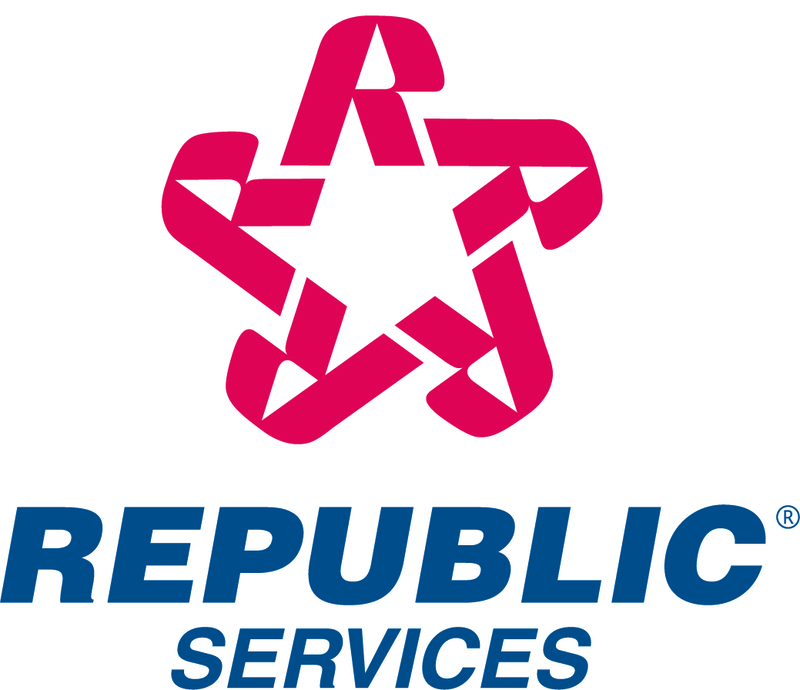 Republic's CNG fleet helps to save roughly 18 million gallons of diesel fuel annually. Republic has set a company sustainability goal of reducing fleet greenhouse gas emissions by 3 percent by 2018. 1 According to the U.S. Environmental Protection Agency (EPA). 2 According to the California Air Resources Board.